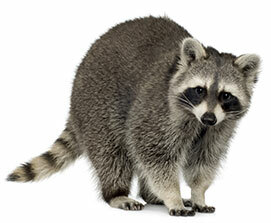 Pest Size: A raccoon can become as large as a medium size dog. Hazardous Level: Normal. 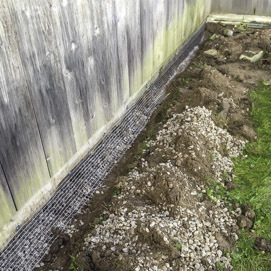 Raccoons with Distemper were found in Ancaster in 2012. While Distemper won't spread to humans it can spread to your pets. Raccoons may also carry rabies. If you see a Raccoon acting funny (or friendly) do not get close to it. Ensure your children heed this same advice. Multiplication Level: A female Raccoon will have a litter. The average litter size is 3 to 5 babies. Baby raccoons are called kits. Raccoons are most active at night. You may find damage around your property or your garbage torn apart. You may hear movement in your garage or attic if they have nested there. Because there are so many parks and trails in areas like Hamilton (such as the Bruce Trail, or Dundas Valley) there are lots of places for Raccoons to live. Are Raccoons hazardous to humans? Raccoons can be dangerous if provoked. Raccoons carry many diseases such as rabies. They also carry parasites such as fleas and mites as well as one called Raccoon round worm. Infection by Raccoon Round Worm, or Baylisascaris procyonis is rare (the last case was in 2005 in Toronto), but completely possible, and it can be fatal. Keep yourself and your pest at a safe distance as Raccoons can be aggressive. If you are bit or scratched by a raccoon you need to seek medical attention immediately.